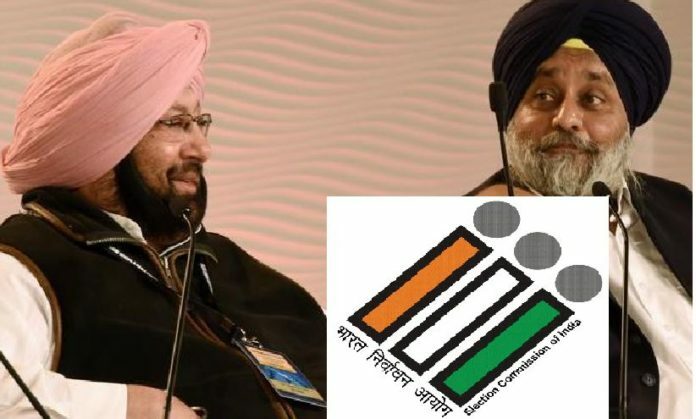 The Chief Election Officer of Punjab,ordered to take action against Sukhbir Singh Badal, President, Shiromani Akali Dal, Bikram Majithia, Tota Singh, Sharanjit Singh Dhillon, Kanwaljit Singh, Bibi Jagir Kaur and Dr. Daljit Singh Cheema, besides SAD, the President of the Akali Dal, Ranjit Singh Brahmpura, hundreds of other leaders have been ordered to take action against strikes recorded during December 2017. Chief election officer Dr S.Kruna Raju has written a letter to the Additional DGP of Punjab, RN Dhoke, that the relevant legal proceedings related to the cases lodged in the matter should be brought into force as soon as possible. The police against the Akali leaders on December 12, 2017, on the charge of obstructing the national highway, in Hoshiarpur, Amritsar, Tarn Taran, Ludhiana, Ferozepur, Pathankot, Jalandhar districts and various other municipalities of Punjab, many 341, 283 , 431, 188, 148, and Section 8B under National Traffic Act, 1956. 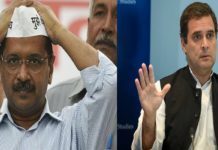 It was surprising that since the police had known about these leaders since then, instead of taking any action on them, it was being said that the attempts to arrest the accused were continuing, but yet not arrested. Let me tell you that written complaints were filed against Sukhbir Badal and many other leaders, including when the congress government filed case against Akalis they said that whole cases are false cases and after that they demanded the cancellation of those filed cases and during that time the Akalis to get their demand full filed they use to hold dharnas on streets in different districts of Punjab. 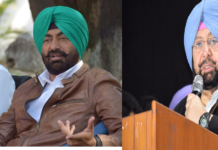 On that day, Sukhbir Badal and Bikram Singh Majithia had organized a protest rally on Harike Pattan Road to get the demands full filled by Captain Government and hundreds of people including those leaders had also spent the night at the same time on the road. During this protest, there were allegations of various obstructions to prevent national road and thousands of passengers were stranded in the protest at Harike Patan road and business vehicles were trapped. The Ferozepur police registered a case against nearly 200 Akalis, including Badal and Majithia, during the legal proceedings, while SSP Ferozepur Bhupinder Singh Sidhu had said that protesters damaged roads and bridges during protesters protest. In addition, during the call given on behalf of the Akali Dal in Ludhiana, Jalandhar, Mohali and many others, former Punjab Minister Tota Singh, Sharanjit Singh Dhillon, Ranjit Singh Brahmpura, Kanwaljit Singh, Bibi Jagir Kaur and including Dr. Daljit Singh Cheema There were also filled case against many other Akali leaders and workers. How does this whole matter came up and what Punjab police said ? From here everything is fine but the interesting fact is that after filing papers, the police sat quietly and when Parvinder Singh Kittana, a non-governmental organization representative, When the police asked for information from the police about the matter, the police wrote to the quote that in those filled cases were lodged against those persons. Efforts to arrest continued. At the same time, the police also admitted that the arrests of the accused should have been arrested under the provisions of the sections which have been filed under this section, but no one has ever found any raid for any arrest, neither has anyone ever heard Notice to be involved in the investigation Even after 2 years of passing, the slabs of these slabs kept roaming in open society, but it is alleged that the police efforts have been escaped under the guise of continuing junkies. The law says that if a case is registered then either the police nabbed the Muzaffarpur police officers during the investigation or it is recommended that the FIR should be rejected. But nothing happened in both of these cases. 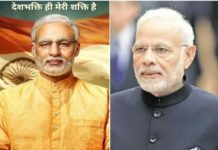 What are the instructions of the Election Commission? On the other hand, the Election Commission has also tightened its candidates against criminal background this time. According to the commission, the candidates who have criminal cases against them will have to tell the voters three times in the main newspapers of the country regarding such cases, in what condition the case is registered against them. After obtaining information through RTI, Parwinder Singh Kittana, representative of ‘Help Organization’ and some others wrote a letter to the Election Commission demanding action against the said leaflets registered by Punjab Police, Officer Dr S. Karuna Raju has written to the state’s Additional DGP RN Dhoke and said that legal action should be taken in these cases. Let me tell you that in the above mentioned cases, the accused can be sentenced to five years imprisonment on the charges in which the charges are framed. In this era of elections, what will colour Election Commission will paint, how will the opposition parties be entertained with the queasy bottom of these orders, and the Akali will satisfy people’s emancipation by making these slips in the election issue or submitting some other cases before this order It will be done only in the future, but it is necessary that these orders have given a new twist to the politics of Punjab. Previous articleNow, Not Everyone can go Live On Facebook, But Why ?